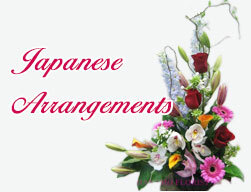 ORCH0315 5 premium Phalaenopsis Orchids for the lobby [ORCH315] - $395.00 : Hanamo Florist Online Store, Vancouver, BC, Canada, Quality arrangements using a plethora of the freshest flowers. Sample Pot is ceramic and in light gold, the size is approx. 27 inch wide. Orchids are approx. 25 to 28 inch tall. decoration can be added at the additional charge if preferred.